Houston, Texas, is an exciting mix of old and new where history meets innovation. The most heavily populated city in Texas and fourth-largest U.S. city in terms of residents, Houston started as a humble railroad hub in the 1860s. Today, it's home to oil fields, NASA, a thriving finance industry, and a flourishing arts scene. As Halloween looms closer, it brings to light Houston's haunted side. This Southwest metropolis is home to a number of legitimately haunted houses and hotels. If you're Texas-bound and in the mood for some haunted happenings, check out a few of our picks for haunted things to do in Houston. 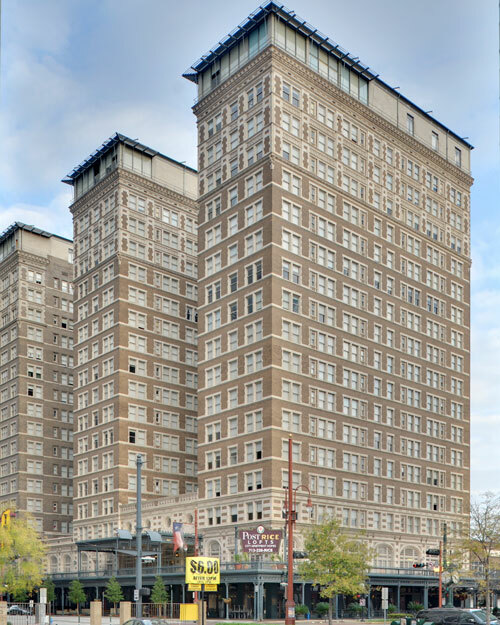 In a former life, the Houston apartment high-rise known as the Rice Lofts was once the Rice Hotel, infamously known as the hotel where former President John F. Kennedy spent his last night before his assassination in 1963. Before it was converted into apartment buildings, guests of the hotel claimed to hear the rattling of objects, feel chills, see lights, and feel a ghostly presence in the room where JFK once slept. The supernatural activity in this hotel was not limited to the former President's room, however. The ghosts of couples on a dance floor were also said to have tripped the light phantasmic in the hotel ballroom. Since the hotel's renovations, these ghostly dancers now perform their danse macabre on the Rice Lofts rooftop. Located at 415 Barren Springs Drive in Houston, the National Museum of Funeral History boasts the mission statement that "any day above ground is a good one." Founded in 1992, the museum harbors a collection of funeral service memorabilia designed to educate visitors and keep the traditions of the funeral industry's practices and history "alive." Among some of the exhibits at the National Museum of Funeral History are a restored, hand-carved wooden hearse from the 1920s that once transported coffins to their final place of rest. Another exhibit (in conjunction with the Vatican) focuses on the burial rituals of popes. Yet another display focuses on a retrospective of the work of Dr. Thomas Holmes, a prominent Civil War-era embalmer. 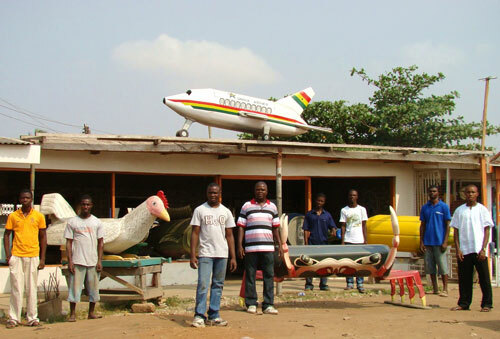 And in a strangely whimsical exhibit, the Museum houses 12 colorful, customized "fantasy coffins" designed by sculptor Kane Quaye of Ghana to depict the life's interests of their inhabitants – including coffins designed to resemble an airliner, leopard, lobster, and even a Mercedes Benz. This unique museum is not to be missed on your tour of haunted Houston! Tired of walking around and want to grab a drink – and maybe do a little spirit-spotting? 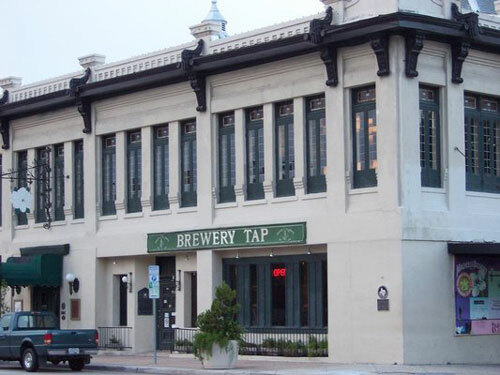 Check out The Brewery Tap, located at 717 Franklin Street (at the corner of Louisiana). This historic brewery building has an enormous selection of 35 beers on tap, an upbeat staff, games of darts for patrons to play, and (oh, yeah) its very own ghost. From time to time, a friendly, otherworldly visitor named "William" materializes to chat with patrons at The Brewery Tap. According to bar lore, William is the ghost of a former brewery worker in the 1920s who died on the job. The owner even has a photo of this mysterious character and will show it to you if you ask nicely. Down a brew or two and find yourself in good "spirits" at this happily haunted Houston attraction. 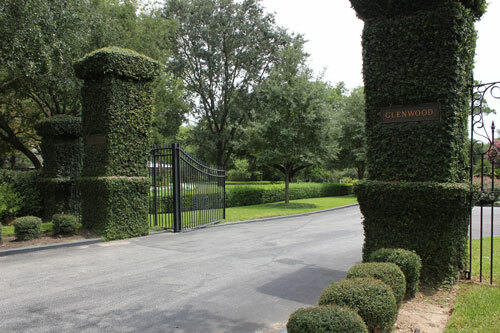 Houston's Glenwood Cemetery is among one of the most beautifully landscaped graveyards in the country. Designed around the ravines that trail to Houston's historic Buffalo Bayou, the gently curving walkways of this 19th century cemetery makes it feel more like an extraordinary park than a place of eternal rest. Visitors can stop by the gravesites of some famous folks interred at Glenwood Cemetery, such as eccentric billionaire and aviator Howard Hughes, actress Gene Tierney (who, ironically, starred in the film The Ghost and Mrs. Muir), and the remarkable Sarah Emma Edmondson (married name: Seyle) – a Civil War-era nurse and spy who dressed as a man to join the Union army. The cemetery is a popular spot for ghost hunters to congregate due to its high electromagnetic fields generated within its iron gates, and the legend that its owner – the victim of an unsolved murder – haunts this beautiful cemetery. These are just a few haunted Houston attractions you can check out if you're "plot"ting a trip to this fascinating city. Depending on how much additional (grave) digging you may want to do, you can unearth a number of haunted happenings throughout the city of Houston in time for Halloween – or any time you wish to visit the city and explore some spine-tingling spots.